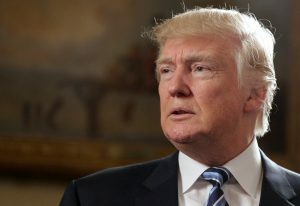 WASHINGTON — President Donald Trump signed a memorandum Monday to leave the proposed Pacific Rim trade pact known as the Trans-Pacific Partnership. The move is basically a formality, since the agreement had yet to receive required Senate ratification. Trade experts say that approval was unlikely to happen given voters’ anxiety about trade deals and the potential for job losses. It remained unclear if Trump would seek individual deals with the 11 other nations in TPP — a group that represents roughly 13.5 percent of the global economy, according to World Bank figures. In another executive action, Trump reinstated a ban on providing federal money to international groups that perform abortions or provide information on the option. And in a third action, Trump signed a memorandum that freezes hiring for some federal government workers as a way to reduce payrolls and rein in the size of the federal workforce. Trump’s directive is fulfilling one of his campaign promises. He told reporters that members of the military will be exempted from the hiring freeze. The new president has vowed to take on the federal bureaucracy and the action could be the first step in an attempt to curtail government employment. The memorandum signed by Trump is similar to one that President George W. Bush signed at the start of his administration in 2001.